This looks to me like a "lazy" illustration. 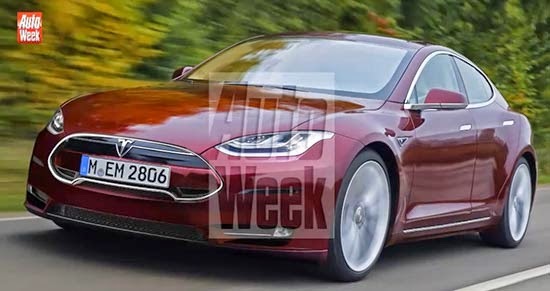 I really hope the new smaller tesla will look a bit more different than the Model S.
It is still at least 2 years away. And we really don't know much about it. 200 miles range, $35 000 base price and about 20% smaller than the Model S.
200 miles range doesn't seem that great for something that will come out in a t least 2 years. It looks like by then even the cheaper Leaf will be getting close to that.